This announcement was officially made today, August 15, 2017 by the Government of the Virgin Islands. 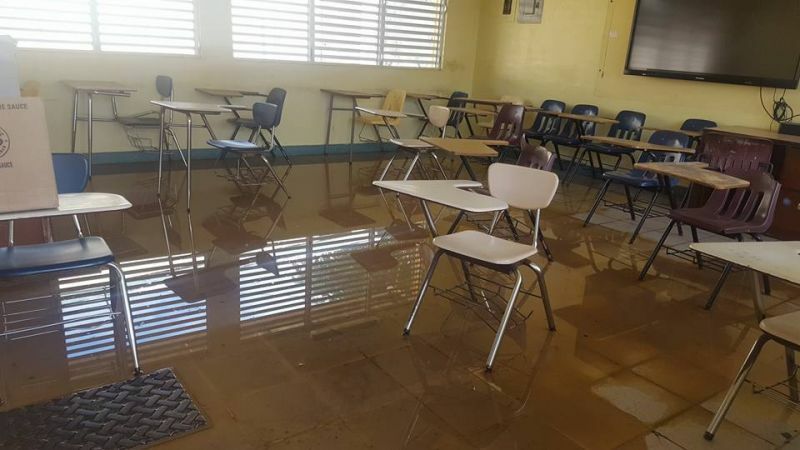 Some of the public schools were affected by flood waters due to the tropical wave on August 7, 2017, with the Elmore Stoutt High School (ESHS) apparently being the worst hit. Some of the classrooms were flooded while the school compound was left swampy and muddied. 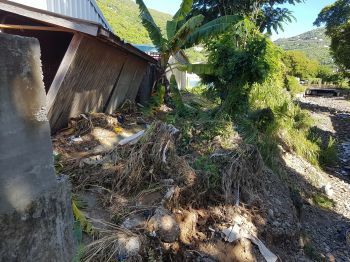 One building in the ESHS compound was reportedly knocked off its wooden columns and had to be demolished. A section of the concrete wall surrounding the high school also collapsed during the flash floods. Clean-up work is still in progress at the ESHS. It is not clear the severity of the floods on the other public schools. Meanwhile, classes begin for all public schools on September 18, 2017. Teachers, however, are expected to be on duty from August 4 to 8, 2017 to prepare for the opening of school. New and transfer students are to report to their respective schools from September 13 while all returning students are to report to their respective schools on September 14 and 15, 2017. There was no announcement as to the date public schools will now close for the Advent term. If school gets delayed for two weeks, how would lost time be regained? Will the holidays be shortened? Will the course load be lightened or more compacted? Will individual teachers and students have the option of staying late or coming in on the weekends for extra study time? obviously a proper assessment was done as the Minister originally noted school would start on time . Now that he's taken the time to review the matter FIX our schools once and for all!! Whilst this flood certainly caused damage there have been ongoing issues with so many of the public schools. No patch up work please and no ridiculous contracts with inexperienced contractors !!! Do the right thing by our children and manage this carefully. We are watching and will hold this government accountable. Give me a break. This mess could have been cleaned up long time if we had only let the UK Military in. Now our kids must suffer a two week loss of education. I am sooooo ashamed of this whole thing. I feel like we have been pushed back to 1960s under this gang. It is unreal. A country of complainers. Dò nothing and the people complain. Do something and they complain louder . That shows plainly that the help from the British ship was needed. This government is taking the territory down a slippery slope. Greed for continued power is causing this country to collapse. Now. We are opening up ourselves for a takeover. Hope the students will be given makeup days to cover the curriculum properly. Everybody who come on here and talking about ship coming to help clean up have the energy to go out there and do the helping instead.The time you take to come on here go out and help with the clean up and you will be surprised at how quick it can be done.Many hands make less work. Come on. Help is help and obviously the territory needs help. Some people had to clean up their own businesses and homes that got flooded and most had to go back out to work from the Thursday. The two day holiday for all that cleanup was not going to cut it. Not even adding in the one Saturday. Let's be real here. We could have benefited greatly with 400 able men working round the clock to get, at least our roads and public schools to re-open as scheduled. A little bit of rain fall and our roads in town become a holy mess. I don't think it had anything to do with laziness. We were offered the help and we should have taken it and worked together with them to clean up this place. Did anyone look in to the reason why the Elmore Stoutt High School got flooded so badly?Did the Project Manager/Architect realize that he design swimming pool walls around the school?Swimming Pool walls store's water and the water stays stagnant...The Bright Politicians that is wasting Tax payers money should address that wall situation because if the children are in school and rain comes they will get trapped and it will be disaster..Since that wall was built it changed the draining panterns on the grounds of the school ..Parents should be concerned about the safety of their children and that High School situation is not as simple as those Misleaders talking..
You all need to cut out the bull.,?t. Stop the damn blame game. If school is pushed back two more weeks, then so be it. And if there is make up days, which should happen, the kids will have no other choice. As a parent, I would prefer that everything is in order before my child go back to school.